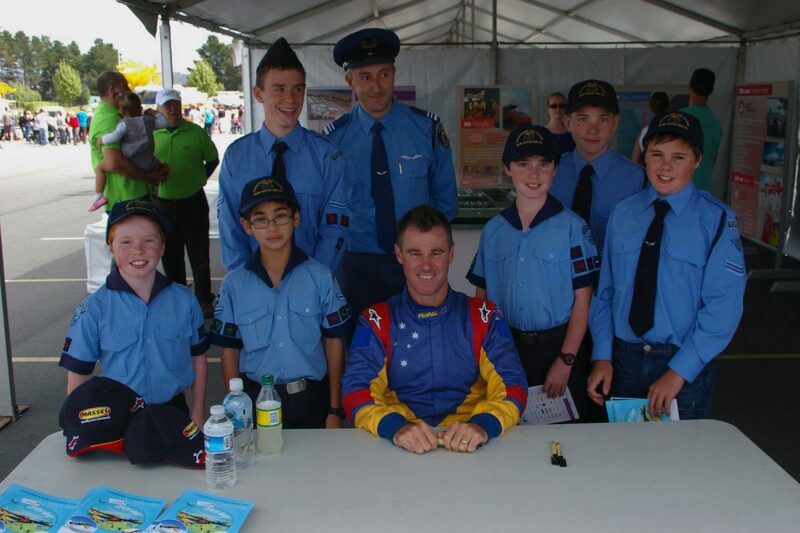 Canberra Airport Open Day was held on Sunday 25 March and Canberra Squadron was actively involved. This was a great PR opportunity for the Air League. Air Activities flew in with one of the AAL Piper Warrior aircraft for display airside. There were queues all day with people wanting to sit in our aeroplane. The squadron set up aviation displays under our new shelter. Cadets were busy telling the open day visitors about their Air League experiences. They also got to view the various aircraft on display including: 737, C-130, Caribou, Super Constellation, Neptune, Catalina, DC-3, J41, ATR72, DH-400, various helicopters, light aircraft and an aerobatic display by Matt Hall.